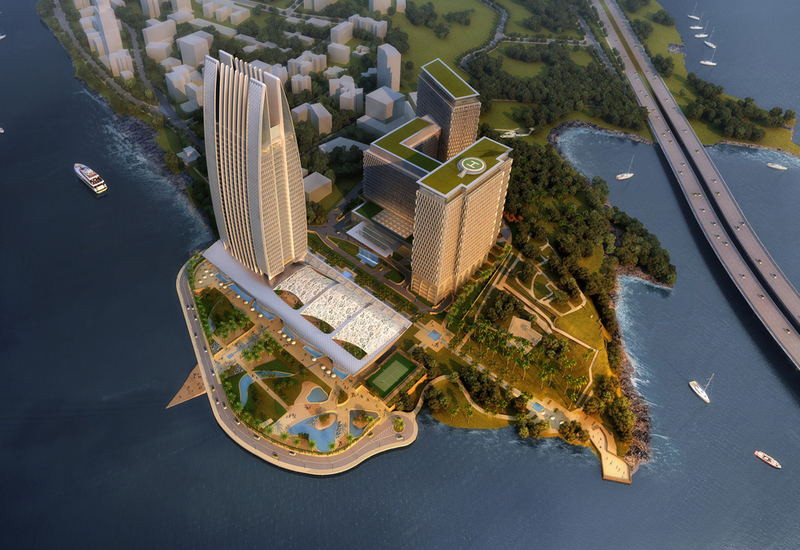 In the course of generating ideas for a new hospitality district at Taj Lands End in Bandra, Mumbai, we developed two options for the Indian Hotel Company. The Gold Option, that is a modern interpretation of the Mughal Arch set on axis with the new Bandra Sea Link Bridge, and the Silver Option, where the architecture of the tower is taken from the traditional Indian greeting of ‘Namaste’ where hands are placed together in a heartfelt gesture of hospitality and welcome. 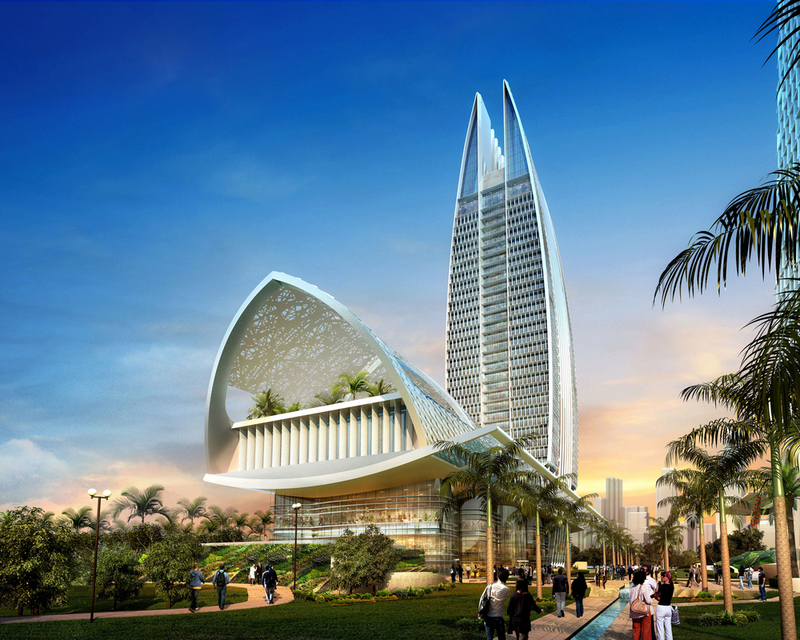 Both options were part of a design competition entry which did not materialise. The 175 metre high Silver Option is a 350 room hotel with all guest rooms having panoramic views of the Arabian Sea and Bandra Bandstand Promenade. This option also houses a banquet facility and boutique retail outlets. A covered roof garden designed for grand weddings provides fantastic views towards the new Sea Link Bridge.